A series of training sessions for all KRION® commercial technicians in Spain were held on 3 and 4 of July 2018 in the SYSTEMPOOL (PROCELANOSA Group) facilities with the object of introducing all the innovations of materials, loyalty programmes, and company quality. The intensive sessions held in Vila-Real served to reunite the KRION® commercial technicians from all provinces exclusively specialized in KRION® and who develop a fundamental task for the creation and expansion of the brand. During the sessions the KRION® Affinity y KRION® Associate Quality Fabricator programmes were presented, to be used for approximation, loyalty and professional recognition by the different transformers working with materials. Both programmes, the conditions of access and benefits of use, aimed at obtaining the highest levels of quality and customer satisfaction were launched by the national commercial department; and endorsed by the prestigious financial assessment consultant Marsh McLennan, who testifies the support, assessment, and verification of all our associates. The training was structured in several sessions where the KRION® commercial technicians were instructed about the excellent possibilities for manipulation of the material, as well as its mechanical and physical properties. The A&D department explained the commitment of the brand with the environment thanks to obtaining different environmental certificates. The elevated participation and implication of those attending meant the consideration of different subjects related to KRION® and its many applications in global projects. The all-embracing training was completed with a visit to the R&D laboratories, to experience first-hand the revolutionary K·LIFE and the new exclusive properties added to KRION®. This way, SYSTEMPOOL wants to reflect its commitment with the quality and excellence of all its commercial technicians, committed to increasing and adding value to its human capital. 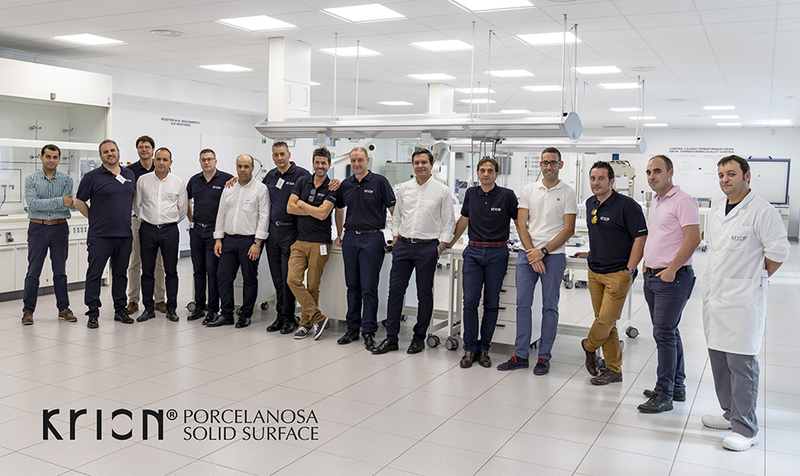 Facilitating technical information to become more specialized and working by following the highest quality standards, converting the KRION® commercial technicians into an identity sign of the company, expressing their commitment to an international project with the backing of the PORCELANOSA Group.